We've certainly had enough this winter, with both snow and cold. It's not that we're not used to snow in the winter. But the cold, the day-after-day, single-digit bitterness, has been spirit wearing. And it has magnified the worst aspects of the snow. This year's snow hasn't melted. It's just piled up. And relatively short, pretty showers now elicit groans, not admiration. In my city neighborhood, nice, two-lane side streets have been reduced to a bumpy single lane. Some major two-lane streets are still wide enough for two cars to pass, but not a car and a truck. And for those of us who live on streets with alternate-side parking - where we're required to park on one side of the street one day, the opposite side the next - the snow has presented a new danger. During the hour in which it's legal to park on both sides, the streets have become so narrow that it would be impossible for a fire truck to get down them. The root of the problem, of course, is that Rochester is a relatively old city. Many of its neighborhoods were created before everybody had a car. And it hasn't helped that in some neighborhoods, houses built as single-family houses or doubles have been converted into apartments shared by several adults, each of whom has a car. Most of the houses in my neighborhood have off-street parking, but not enough for every car the occupants own. And so the streets are lined with cars. Which get covered with snow in a snowfall. And the snow gets swept off into the street. Which counters the efforts of the snowplows. Then there are the sidewalks. City law requires residents and business owners to clear the sidewalks in front of their property. On a recent radio report, Mayor Lovely Warren said that the city plows our sidewalks "as a courtesy" when the snow is four inches deep. Well, it's not really a "courtesy." As part of our city tax bill, property owners pay a fee, both for street plowing and for sidewalk plowing. But the spirit of what the mayor said was correct. Rochester is apparently unusual in providing sidewalk plowing at all. And like many cities, Rochester has huge demands for expensive services, and over the decades, its tax base has shrunk. 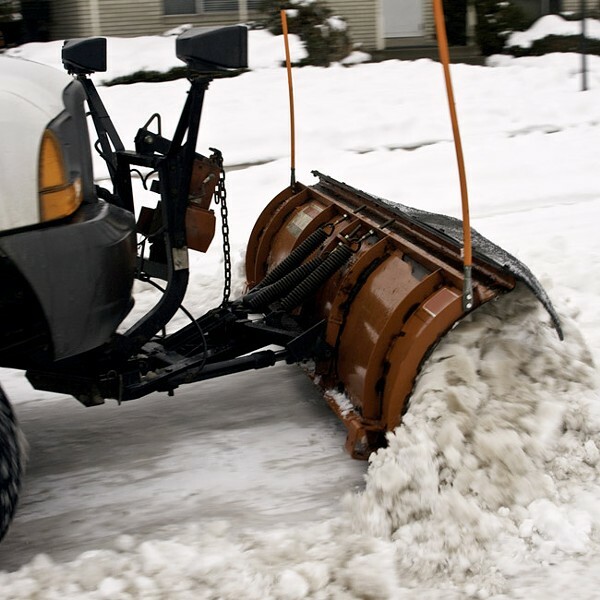 To get more snowplowing, do we want school aid cut? Or have trash pick-up, police patrols, or fire service reduced? So it's up to city residents, museums, galleries, restaurants, corner grocers, all of us to clear the sidewalks. But if you're employed, it's more than a minor inconvenience to have to shovel the public sidewalk before heading to work. And for some residents, shoveling is a physical impossibility or a health hazard. If you depend on the bus for transportation, large mounds of snow block your access at bus stops, forcing you into traffic and slush. And biking? Treacherous. Maybe this winter is an aberration; maybe it's not. This isn't the first year we've had snow that covered the ground until well into March. We've had bitter cold before. And Rochesterians do seem to get a weird pleasure out of griping and moaning. But scientists are warning that climate change will bring storms that are more extreme and more frequent. When storms hit Upstate New York in the winter, they bring snow, not rain. Maybe, then, we should embrace this winter as an opportunity to start planning for the Rochester of the future. We want people to move here. We want people to stay here once they move here: to raise families here, to age here comfortably, happily, and safely. We want to attract young professionals, and the trend among that demographic is to seek out compact cities that are bike friendly and have good mass transit. Climate change or no climate change, the Rochester of the future will have snow in the winter. What do we need to do to create a walkable, bikeable, mass-transit-centered Rochester of the future?